It’s about that time of the year! It looks like we might actually be seeing the weather turn just a bit here in Central Illinois and it sure is a welcome thing. After having a week of hot and humid to rainy and humid, yesterday the weather turned with the humidity dropping and the temperatures at a comfortable 75 degrees and abundant sunshine. After a long hot dry summer it’s a very welcome change and one that I really look forward too! With the change of seasons here in the Midwest, we also know that it’s about time for harvesting season. 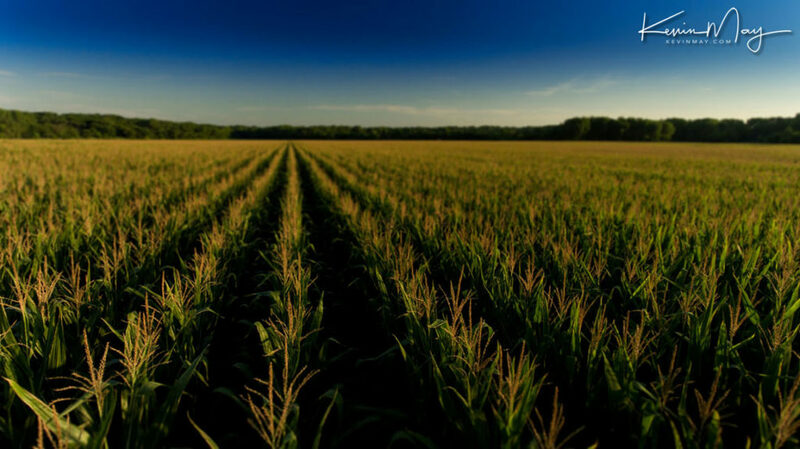 The corn and soybeans are looking good and pretty soon we’ll start to see the combines working in the fields. I always enjoy seeing them out working and knowing that they have a short time to get the crops harvested before the weather turns to winter. It’s also at this time of the year that we get the “harvest moon” and some of the best and most colorful sunsets around. We’re going to be on the road a bunch coming up, so hopefully we’ll be in town for a bit to be able to get some of those wonderful images! Here’s one of my snaps of the corn fields and they are almost ready to be harvested. Well it’s time to get busy because we’ve got a busy week! Thanks as always for taking the time to check out our work and we hope that you’re going to have a great week to come! Well the kids have been going back to school this past week and better them then me! 🙂 I do remember when I was a lot younger and I would be all excited for the first day of school and then about halfway through that first day it would hit me why we were in school and it wasn’t going to be fun and games! The excitement lasted for about two hours and then you knew that it was going to be nine months before summer vacation would happen again and you’d be free for the summer! I’m sure that a few of you felt the same way when you were younger too! This past week was a good one and along with a couple of shoots that happened early in the week, I had a ton of video editing work going on as well. The good thing is that in the coming weeks, I’ll be able to share some of these video projects that we have been working on this summer. It’s always fun for me to have a project that’s got a beginning and then an end and something that doesn’t drag on too long. These last few projects have been that way, so it’s very nice to get started on them and then finish them up and move on to the next project! I’ve got a couple of photos from my trip down to Southern New Mexico a few weeks ago. They’ve had some rain in the last month and the barrel cactus flowers are blooming and the colors are outstanding! When you’ve got a desert landscape that doesn’t always have a lot of color, to see these cactus blooming is really a special treat, so I’m glad that I was able to witness it! 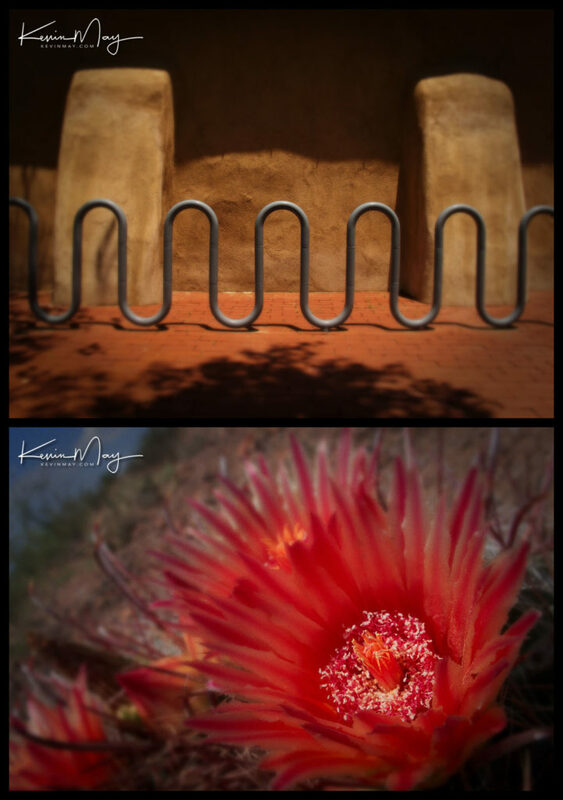 Here’s a couple of my snaps from New Mexico! It’s time to get busy and there’s more video editing to work on this morning! We hope that you’re going to have a great week to come and thanks as always for taking the time to check out our work! Welcome to the middle of summer and as time seems to do, it keeps motoring along and at such a fast pace anymore. Time seems to fly at other points in the year as well, but I guess that I just notice it more during the summer because of the bookend holidays of Memorial Day and Labor Day. When you throw the 4th of July into the mix of those two major holidays as well, you’ve got a holiday weekend just about every month or so it seems during the summer. That’s one of the things that I do like, but I always wish that summer could last just a little bit longer then it does! I’ve got one more promo to share from our time spent in Tucson, Az over the 4th of July holiday week. Even though we’ve been to the San Xavier del Bac Mission in Tucson a large number of times over the years, I never get tired of going there and shooting some photos. There’s always something different to see that we’ve missed in previous visits to the mission. For those that haven’t been to Tucson, San Xavier del Bac is located about 10 miles south of downtown Tucson. It’s also known as “The white dove of the desert” because it’s the tallest building for miles and it stands out in the flat land of the Tohono O’odham Indian Reservation. The fun part of being there is that you can walk all around the inside and outside of the mission and take photos. Of course if mass is going on at the time of your visit, you can’t go inside during the service. 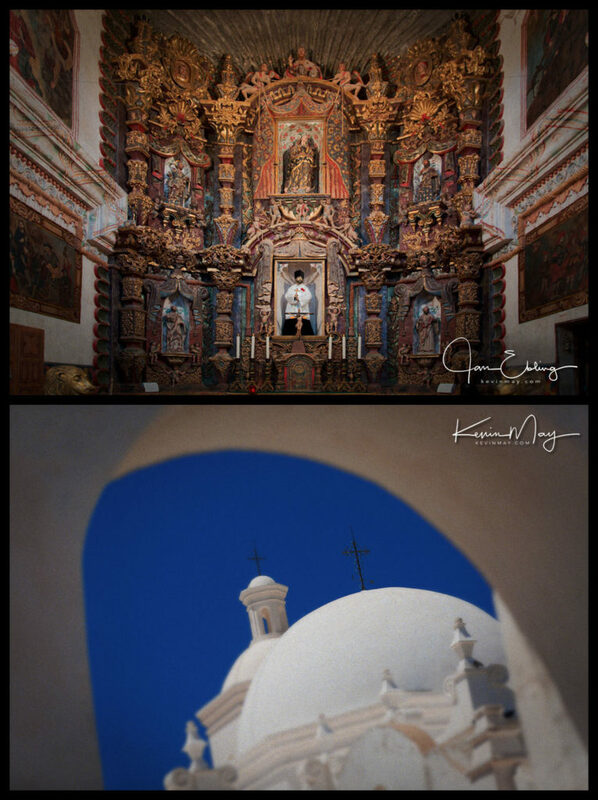 Here’s a couple of our snaps from the San Xavier del Bac Mission. Thank you as always for taking the time to check out our photos. We really do love shooting them and sharing them with you! Tuesday morning Peoria greetings to one and all!!!! Jan and I got back from spending last week out in Tucson, Az. As always, it’s great to be out there even if it is in the middle of summer and with the temperature soaring to 109 degrees a couple of days at the end of the week. Even though it was a little warm, it still makes my old body feel good! On the drive out to Tucson, we were able to stop at one of our favorite places to shoot photos, Petrified Forest National Park. The thing that’s nice is that you have two parts of the park for the price of one. Along with Petrified Forest, you also have the Painted Desert part of the park. Petrified Forest National Park is located right off of Interstate 40 between Holbrook, Az. and Gallup, N.M. Painted Desert has some great views of the multi colored layered ground and in the morning and afternoon the colors really pop. You can look down into the valley from the cliffs up above and the scenery is spectacular. Petrified Forest has different features from Painted Desert, but it’s just as interesting. One of our favorite parts of Petrified Forest is the area called Crystal Forest. There’s a great walking trail that’s about a quarter mile long that takes you in and around the whole Crystal Forest area and you can walk amongst the petrified trees. It’s amazing to see these trees that are now brightly colored rock. If you’re ever out that way on I-40 in Arizona, it’s a place that I can highly recommend and something that you won’t see anywhere else on Earth. 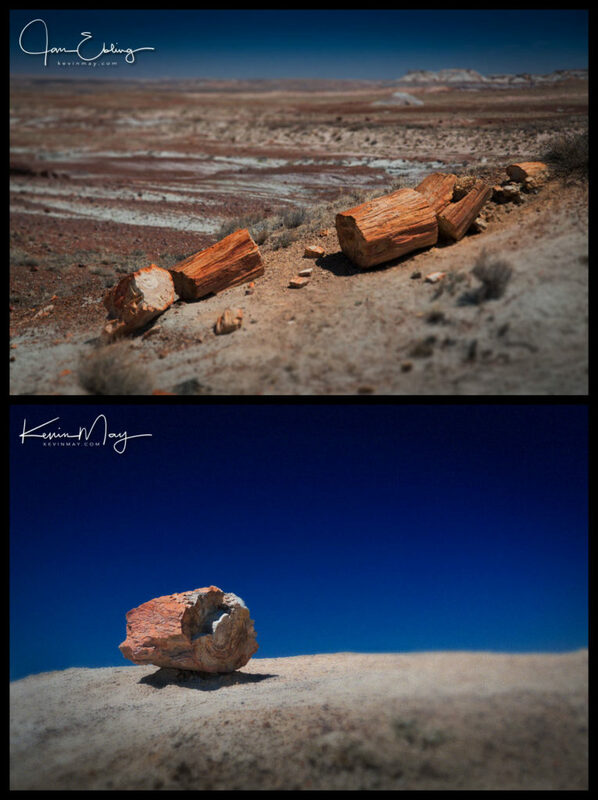 Here’s a couple of our snaps from the Petrified Forest National Park in Arizona. Ok, the 4th of July week is over and it’s time to get back to work! We hope that you’re going to have a great rest of the week and thanks as always for taking the time to check out our work! Big Easy Monday morning greetings to one and all!!! We are back on the road once again and I have to tell you that it feels pretty darn good! After having been home in Central Illinois for the past six weeks, we were starting to get that itch to get back on the road, so now we are getting our wish! You might even be wondering what the most viewed photo is from all of my 5000 Flickr photos. 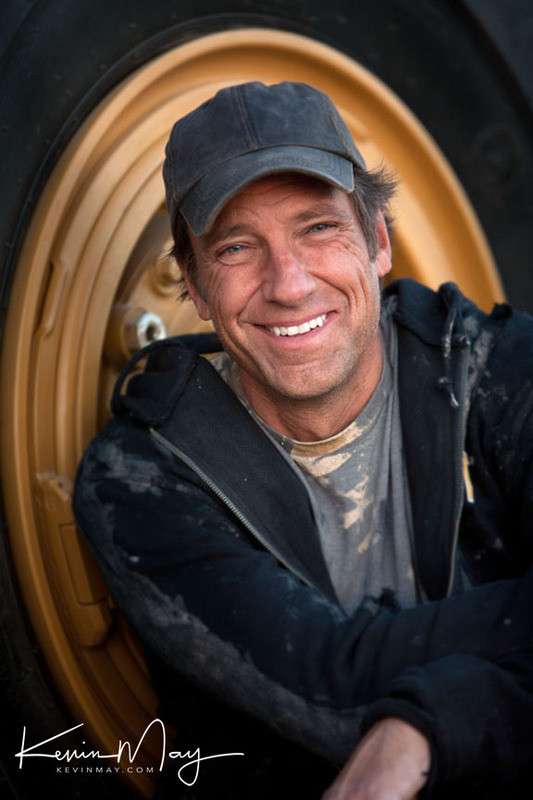 Well it would be one the the first shoots that I shot with my good buddy, Mike Rowe back in 2010 in Las Vegas. At the end of a very long day of a video shoot, they asked me if I could get a couple of photos of just Mike and I was happy to help out! Here’s my most viewed photo! Ok, it’s time for Jan and I to get busy and get to work! We thank you as always for taking the time to view our work and we hope that you have a great week to come!!! Well we sure finally had some very nice weather in Central Illinois this past week and what a welcome change it has been! The trees are finally starting to flower and the grass is getting green and growing (I cut the yard twice this past week). The other thing that has been great for me is to be back home and able to take advantage of the nicer weather and getting over to Jubilee College State Park which is practically in my backyard. From my house I can walk over to the park or ride my bike and for the most part durning the week things are pretty calm with not a lot of people out at the park, so I get the place to myself. I’ve been very fortunate to be able to do some video editing work done on the computer durning the morning and then get over to the park for an hour or two and get a little fresh air and exercise before heading back to the house to continue on with my editing fun. It’s so much easier to go to the park when the weather is nice and not -10 below zero! One of the things that Jan and I like to do when we are in New Orleans is to walk and shoot photos in the Garden District of the city. In past years and trips this has always been a tradition of ours to do this on Christmas eve and it’s great to see and shoot photos of how the homes in the district are all dressed up for the holiday season. With this being the first time that we’ve walked the district outside of the Christmas season, the first thing that caught our attention was the number of people out on walking tours of the district. At Christmas time we pretty much have had the place to ourselves, so we had to work a little bit to avoid all the crowds of people. There’s quite a diverse style of homes in the district and some serious money has been spent by homeowners keeping these incredible places in tip-top shape. All and all it was a great way to spend an afternoon seeing the homes with all the vegetation in full bloom and being able to snap a few photos as well! Here’s a couple of our snaps from the Garden District in New Orleans. It’s time for us to get to work and we’ve got a couple of shoots and more video editing to tackle this week. We hope that you’re going to have a great week and thanks as always for taking the time to check out our work! We’ve had some very wacky weather here in Central Illinois this year and things have been cooler then normal. Usually by this time of the year, I’ve cut the yard at my house multiple times and even in past years I’ve cut it as early as mid-March. Well with all the cold weather here I haven’t cut the yard once yet! Here we are at the end of April and it’s just amazing to me that I haven’t had to cut it yet. Well trust me, that will come to an end at some point this week because I’ll finally have to cut it, but to think that the first time would be in May is amazing! While we were down in Louisiana a week ago, we made a stop over at the Houmas House in Darrow, La. Houmas House is an incredible plantation and gardens that has been fully restored back to it’s original condition from back in the 1800’s. You can tour the inside of the house and then afterwards walk the beautiful gardens. The best part for us is that we were able to shoot photos and you know that makes us both very happy. 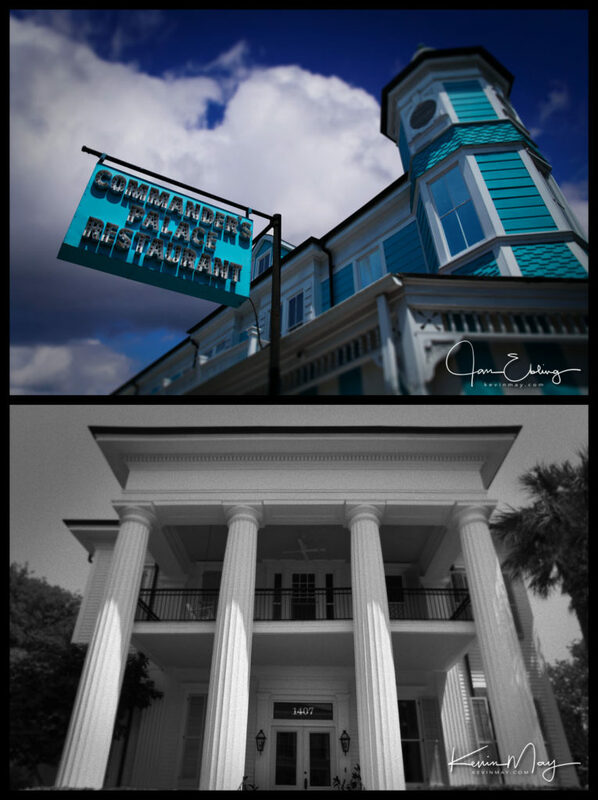 Here’s a few of our snaps from the Houmas House. We hope that you’re going to have a great week and thanks as always for taking the time to check out our work! It’s good to be back home again after being on the road down in Louisiana this past week. It was also nice to have a little warmer weather then what we’ve been having in Central Illinois here in April. We should be a little warmer then we’ve been, but it seems like a strange year for weather and I’m sure at some point summer is just around the corner. We had a nice bonus on this trip being able to spend a few extra days in New Orleans and as always the city was great. When you’ve got a city that’s as old as New Orleans, there’s a lot of different architecture styles around town and for a couple of photographers like Jan and I, that’s a great thing. The French Quarter is one of our favorite areas to walk around and shoot photos because of the history and style of the buildings and houses. In the last few hours of any day’s sunlight in the Quarter, the colors, shapes and shadows that we find are amazing. I could probably walk that area a hundred times and still not shoot everything that’s there! 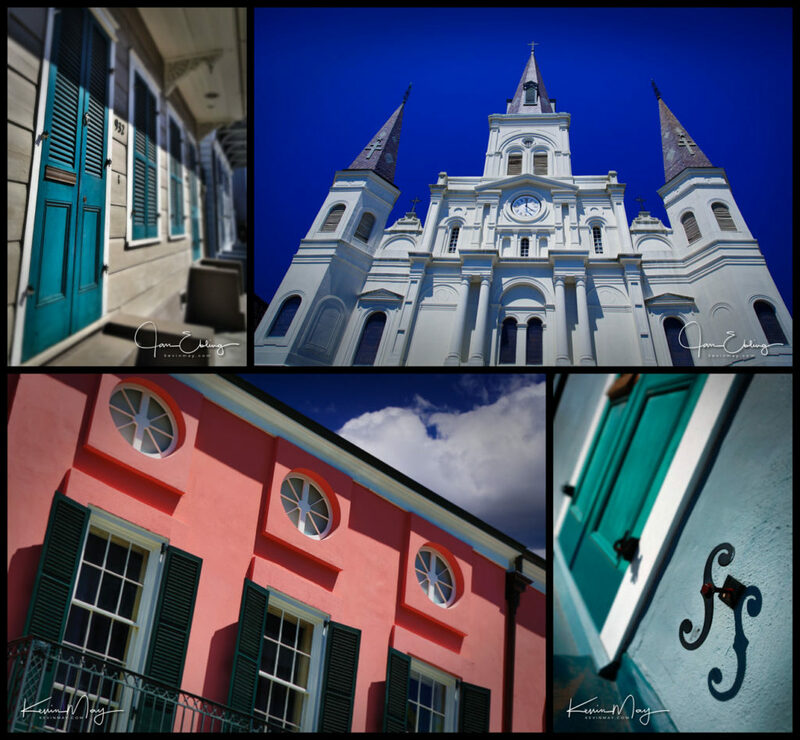 Here’s a few of our photos from an afternoon spent in the French Quarter of New Orleans. It’s time for us to get to work, so we hope that you’re going to have a great week to come and thanks for taking the time to look at our photography! Monday morning greetings to one and all from Lafayette, La.! Yes, I started the road to be self-employed on April 15th of 1990 and its been quite a ride all these many years! We’ve been incredibly blessed to have so many wonderful clients that have seen the value in what we do to hire us and help keep this train rolling. There’s so many great memories of some very wonderful shoots either from the location that we were shooting at and having beautiful weather to some of the down right most nasty places that you’d ever want to be in, but I must say that to appreciate the good shoots, you’ve got to have a few that aren’t the most ideal. The good thing is that more often then not, we are fortunate to have a lot of really good shoots and get to work with a lot of very nice people! The other thing that I always enjoy as well is that we get to have some laughs and some fun on these shoots regardless of what’s going on and that sure makes the time that we spend with our clients that much better! Jan and I will continue to roll along this year and the finish line is in sight, so there’s still more fun to be had. One of our fun things to do when we are out on the road is to get out and shoot some photography for ourselves and yesterday we got to do that. We made a run down to Avery Island, La. and for those that don’t know it, that’s the home of Tabasco. It’s a great place to visit and if you have time you can take a tour of the plant and that’s a lot of fun to see the process of how all the different Tabasco sauces are produced at Avery Island. The other thing that you can do is to visit the Jungle Gardens which is right next door to the plant and part of the Tabasco facilities. At this time of the year there’s not a lot of flowers in bloom, but there’s still plenty of things to see and shoot photos of while you are there. Jan was able to get some great shots of the birds at the bird sanctuary where there are hundreds of egrets nesting. She also was able to get a great shot of some of the alligators that are there as well and for those of you that are adventurous, you can walk right up to the alligators because there aren’t any fences and they are out in the open at the gardens. I wouldn’t recommend it though because even the junior alligators could take a finger off if you’re not careful. I was able to get a couple of photos of the Pagoda that houses the giant 900 year old Buddha statue from China. All and all it was a great day spent at the Tabasco facilities and Jungle Gardens. 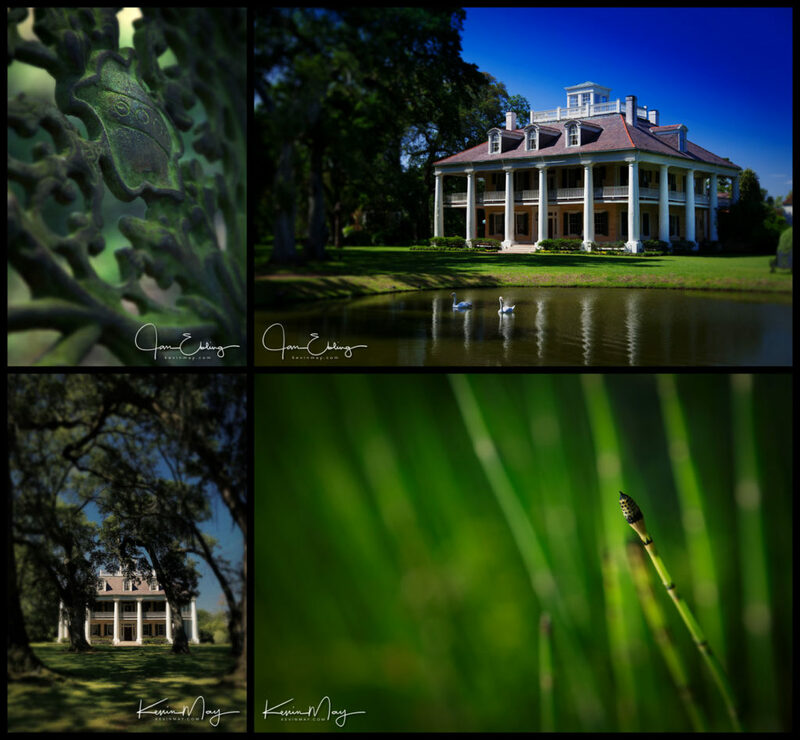 Here’s our photos from Avery Island, La. Ok, it’s time to get year 29 started and we are both ready to go! There’s work to be done and our busy summer season is just about ready to kick in so there’s going to be a lot going on! Thanks again to all the wonderful clients that have supported us and continue to hire us for the many gigs that we are doing each year! We hope that you’re going to have a great week to come and thanks again!! !